This is what I came up with and I quite like the technique, its simple and not overwhelmingly time consuming. As you can see I put down a layer of white, and I made it sloppy because I didnt think it would make a difference, but it definitely does. You need to make the base layer opaque. Then i just pressed the sponge over the nail. 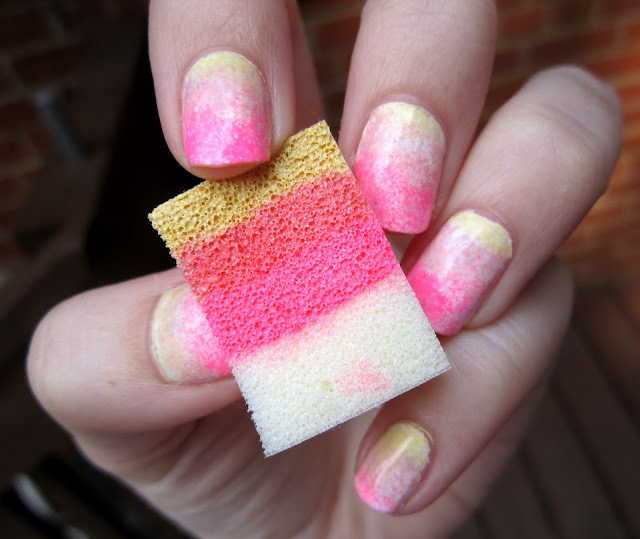 To make it easier you could cut the sponge to fit your nail for less clean up, but I didnt bother. I used Joe Fresh Butter, Revlon Perfect Pink and China Glaze Shocking Pink. 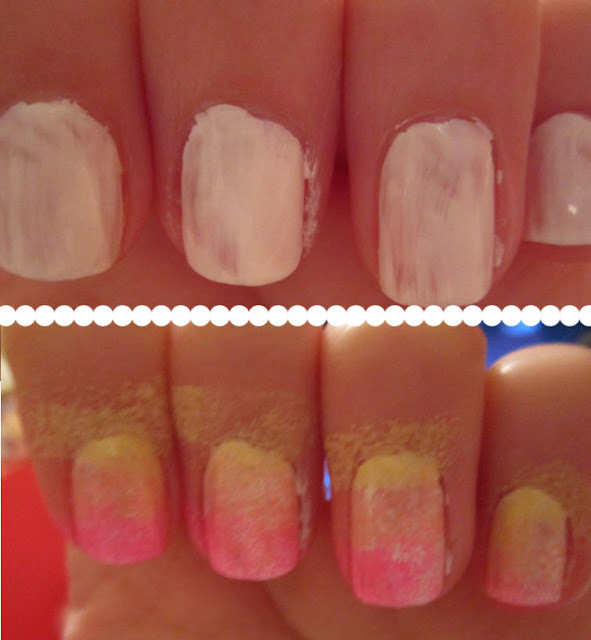 I think the best part of this kind of nail art is that it is just as simple to do the right hand as it is the left which is what I tend to struggle with with nail art. Its super fun and can incorporate many trends like colorblocking, ombre, and colour trends like neons or mint or whatever colours are "in" at the time. We are now following you, and we would love for you to follow us too?